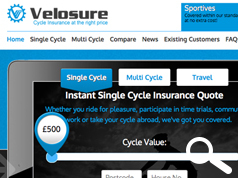 Velosure Cycle Insurance, one of the country's leading suppliers of high end cycle insurance has announced an additional benefit for its customers – a 10% discount. By fitting a DATATAG cycle security system customers will qualify for an immediate 10% discount on their insurance premium and with average premiums at around £300 the cost of the kit (if not already fitted) is easily covered by the discount! What's more if customers already have DATATAG fitted they still qualify for the discount which is applicable each year on renewal, another bonus. At a time when bike interest is at its highest for many years so, unfortunately, is bike theft. And the increasing trend of breaking down modern high end bikes to sell on the components means protecting an entire bike is not easy. This is where DATATAG, security experts already trusted to provide the tech behind the Motorcycle Industry Scheme MASTER come in. Their two systems; the 'UV Stealth' and 'UV Stealth PRO', allow owners to mark not just frames* but also valuable components like forks, wheels and bars providing complete protection – something unique to the market. The 'UV' etches found in both kits will stealth 'mark' a frame* (only reacting under UV inspection) thus keeping it looking pristine and the microscopic Datadots** which contain a unique code can be 'painted' into the nooks and crannies of brake levers, derailleurs, seat posts etc providing not only a high level of deterrent but also making identification an easy job for the Police. In fact early results from the Police show a dramatic reduction in theft of protected motorcycles, something DATATAG have already seen in other markets. Chris Harrison, Datatag Sales Director said "We've seen an increase in bike theft in the past few years as riders opt for ever more exotic frames and valuable high end componentry. Our technologies, already adopted and proven in the motorcycle and agriculture industries, stands apart from the competition by providing a multi-layered approach which not only deters the initial theft but also aides recovery and prosecution should the worst happen." 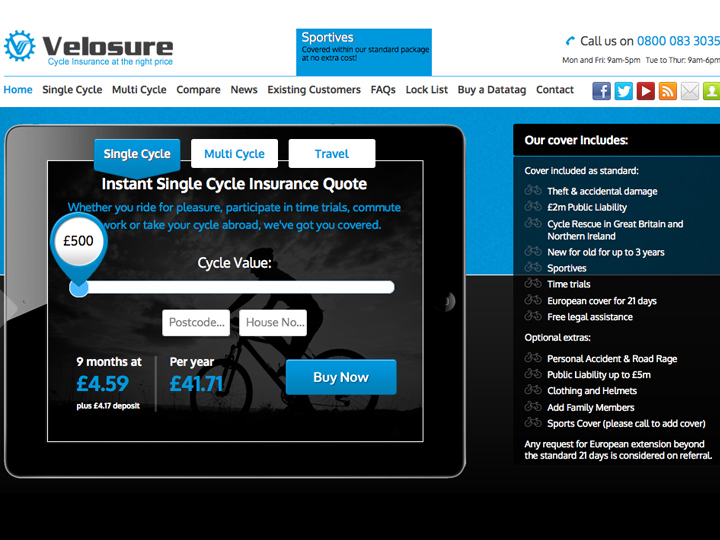 Managing Director Ken Specter said "At Velosure we pride ourselves on providing our customers with benefits other insurance companies don't and offering this incentive to fit DATATAG not only makes sound business sense to us but also delivers the right message to thieves AND reinforces our commitment to give our customers 'added value'." Supported by the Police and already adopted as standard by KTM cycles, Mercian cycles and BatriBikes. Datatag is approved and backed up with a 24/7 call centre. If you want to keep your pride and joy yours, then a Datatag system (RRP £24.99 and £29.99) is a great step in the right direction and is available through the Velosure web site at www.velosure.co.uk or from all good cycle retailers.